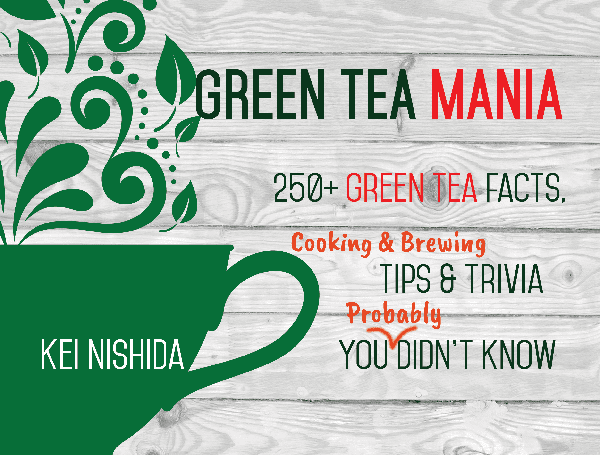 We have been working with author Kei Nishida for a few months now and have truly come to appreciate the vast amount of green tea knowledge that he has. 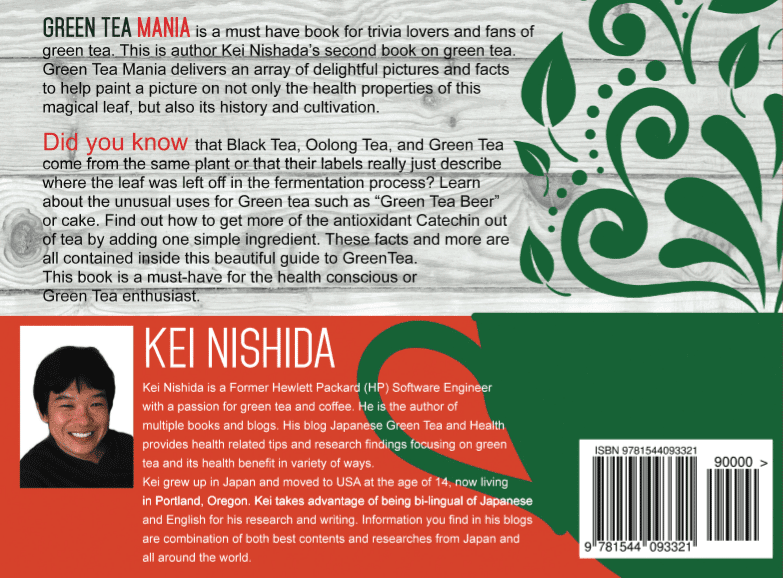 Green Tea Mania is his second literary endeavor and again, this one is beautiful from the vantage point of graphics design. It is also full of green tea tidbits. If you really think about it, Nishida is the Eastern meets Western connection for this type of knowledge. Initially, when we went looking for germane literature which, was available online, a significant portion of it was written in another language. Nishida closes that gap and shares what knows! If you're looking for someone to close the gap, he's your go-to. Grammatics are not perfect. However, it is not difficult to understand. And, really, how many people do you know who are bilingual in Japanese and English? We only know one person. Green Tea Mania is available from the link below. 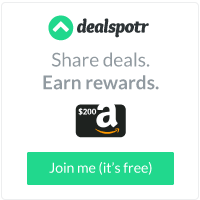 It retails for $24.99. There you go. Kei Nishida is a Former HP Software Engineer with passions for green tea and coffee. He is also an author of multiple books and blogs. His blog Japanese Green Tea and Health provides health related tips and research findings focusing on green tea and its health benefit in a variety of ways. Nishida grew up in Japan and moved to US at the age of 14. Currently, he resides in Portland, Oregon. He takes advantage of being bi-lingual (Japanese and English) for research and writing.